The spot gold price originally generated a technical sell signal at US$1321 on 25/8/16. The gold price subsequently generated a re-entry technical buy signal at US$1216 on 2/2/17 as detailed in a previous wire (see below). The nominated upside technical price target located at US$1262 was reached during intra-session trading last night - which was the minimum expectation for a rally. 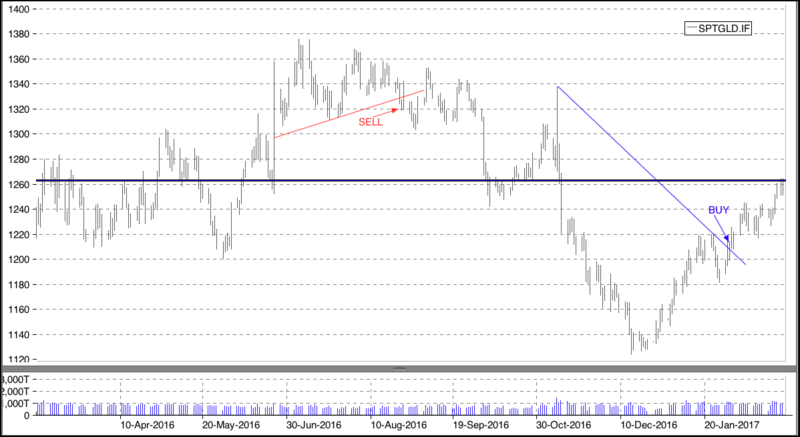 The gold price technicals remain positive given there is no sign of a technical top formation emerging.